The Ann Arbor Freemasons are fundraising for the Ann Arbor Cancer Support Center, because community matters. 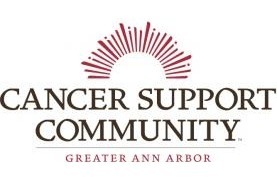 The Ann Arbor Cancer Support Center supports those struggling with a cancer diagnosis and helps provide the all of the life changing support and services that aren't provided by the hospital. Your donation directly affects the lives of those in the Ann Arbor community and acts to strengthen those in our community with the greatest need. We will also continue the fundraising efforts at the Zal Gaz Grotto on November 10, 2018 at 6:30pm with a silent auction, live band, and all proceeds going to directly benefit the Ann Arbor Cancer Support Community.